At 20" x 40" in size, this ceiling mounted rainfall shower head provides maximum coverage. Six adjustable shower jets can provide massaging water to the areas you need it most. Handheld shower, hose, and 3 valve mixer included. Showerhead Size: 20" x 40"
Body Jets: Comes with solid brass 360° adjustable Body Jets. The flow rate is 4.8 to 7.9 GPM. Universal threading will fit any standard shower head by simply unscrewing the old one by hand and attaching the new one. 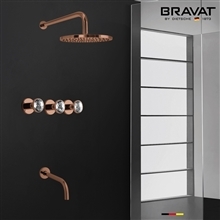 Stainless steel finished chrome provides a modern stylish design, which enhances it durability. The flow rate is 2.5 to 4.3 GPM. 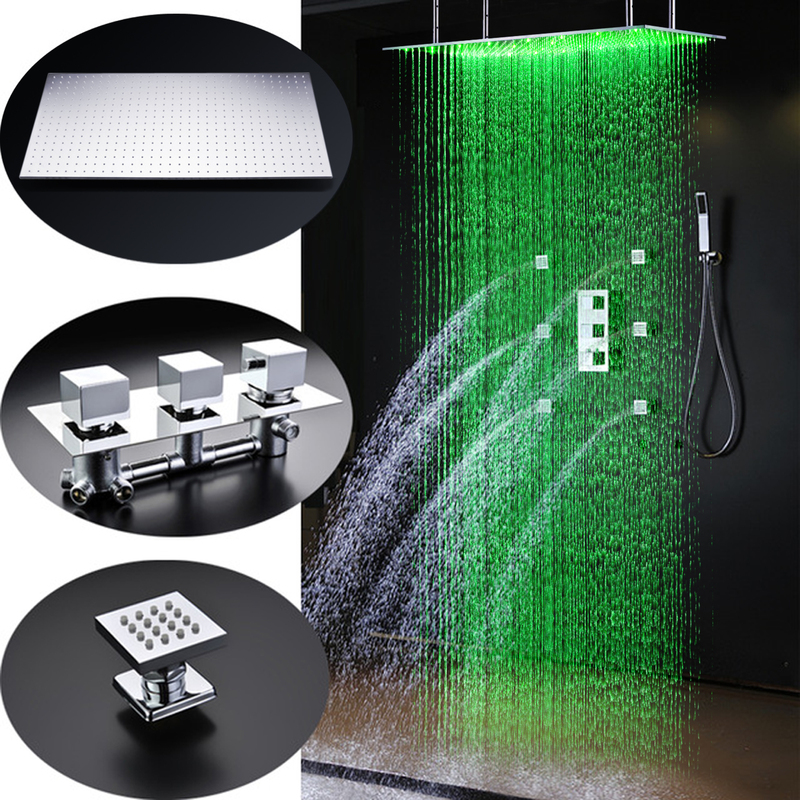 I had seen this Saint Denis Large Chrome LED Rain Shower Head with Body Jets & Handheld Shower somewhere before, so when i wanted to get a shower set, i restricted my search to this brand and i am absolute glad i did that because this shower set is everything i wanted and more. It works like a charm, absolutely incredible. Needless to say that it is worth every penny spent in acquiring. Despite the sale, I still think that this shower set is overpriced. 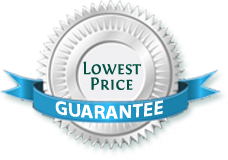 But then, you really can't put a price on quality, and this seems to be well-made and will last for years. Still, we'll have to wait and see about that since it's only been a few weeks since I had this. So far though, all seems to be working well. I was first kind of hesitant to buy this because of the price, and even at the sale price, I still thought it to be expensive. Sure, I understand that this must be of excellent quality and the features are really something, so despite my reservations I still bought it. Well, three weeks down the road and so far this beauty works like a charm. I feel really proud of myself for making such a good choice. After having this shower set for two weeks now, I must admit that I am really impressed with it. At first, I though that this was rather expensive and that I should look at some other options. But there's something about this shower set that makes me want it. I think it's the really large shower head or perhaps the body jets, but either way, I bought it and love using it every single day.